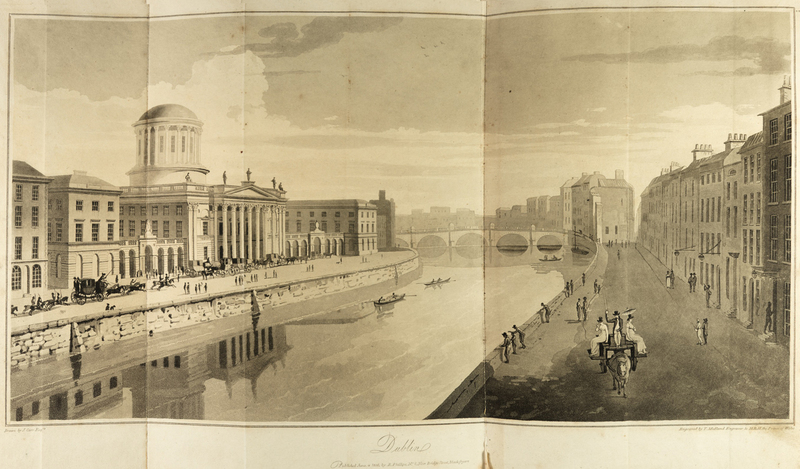 This month we celebrate all things Irish and we’re kicking off by looking at some eighteenth and nineteenth century accounts of travel to the Emerald Isle. Various passages, such as Fishguard-Rosslare or Liverpool-Belfast, are available but, for today at least, our travellers will be sailing from Holyhead to Dublin. The rare books prove a good resource for this topic. Sir John Carr (1772–1832), an English barrister and travel writer, gives an account of his passage in 1805. 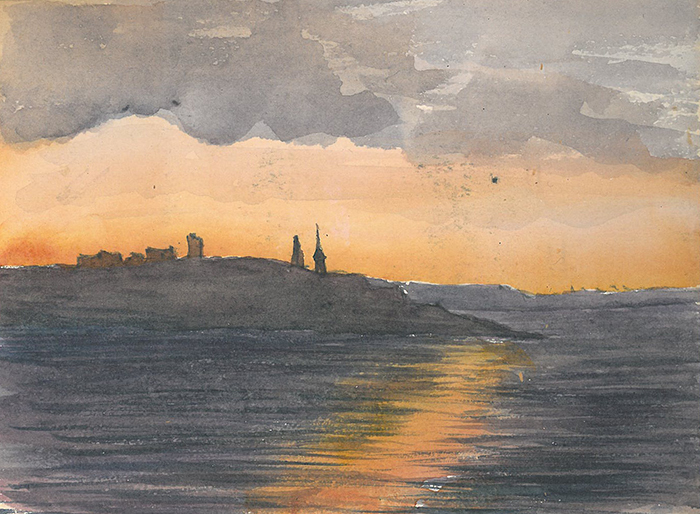 The Bay of Dublin […] presents a beautiful site to the stranger, especially if he contemplates it on a cheerful morning, from the deck of a steamer in which he has passed a story night. The land, stretching out in two peninsulas, extends both its arms to meet him. 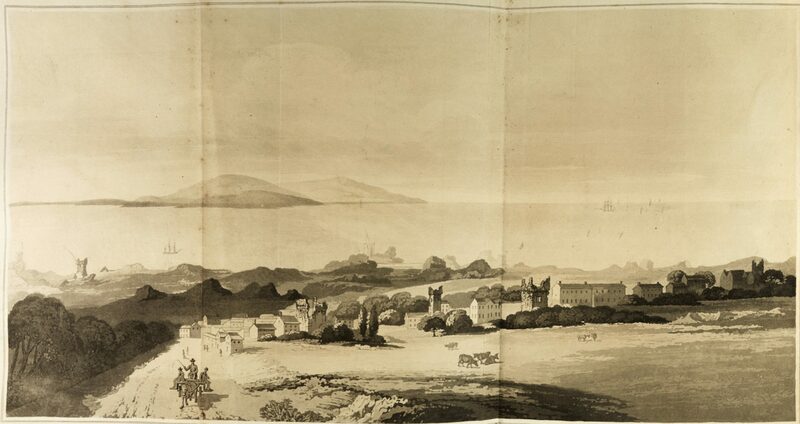 In the southern hand it bears the harbor and town of Kingstown, and in the northern the habour and town of Howth. As we entered the bay of Dublin, a brilliant sun, and almost cloudless sky, unfolded one of the finest land and sea prospects I ever beheld. We hopes that the weather was kind to you during your passage and you’re not been left with any nauseous that would impede your exploration of Ireland over the next few weeks. Don’t miss our post next week when we’ll be delving into the literature of Ireland. We wish you all a very merry Christmas and share a snowy scene from 200 years ago. 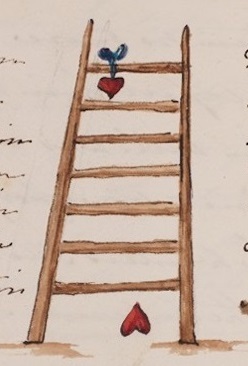 This little watercolour appears in a lady’s commonplace book, which records the author’s travels to Scotland and the East Indies, c. 1820-1825. It is filled with beautiful sketches and watercolours of places and scenes that she had visited. 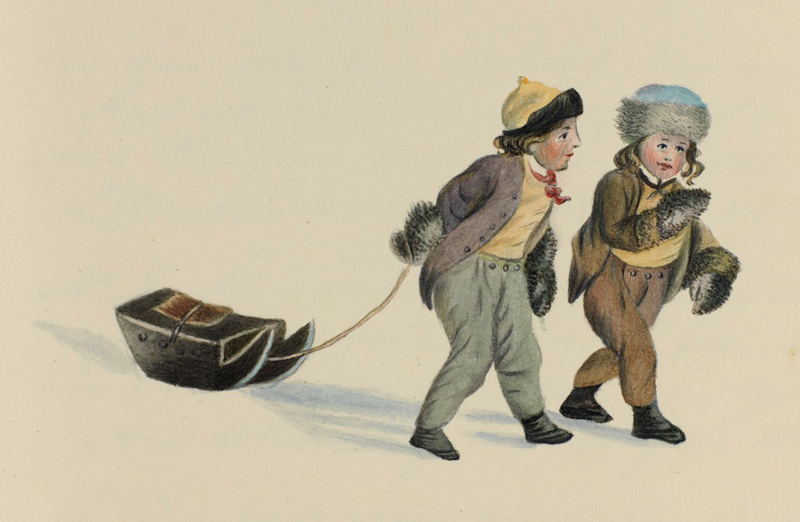 Perhaps these children were playing in the Scottish snow at Christmas? In 1797, Mary, Lady Palmerston, wrote a letter from her home at Broadlands to her husband, sending a list of Christmas presents that he might buy for their children in London. 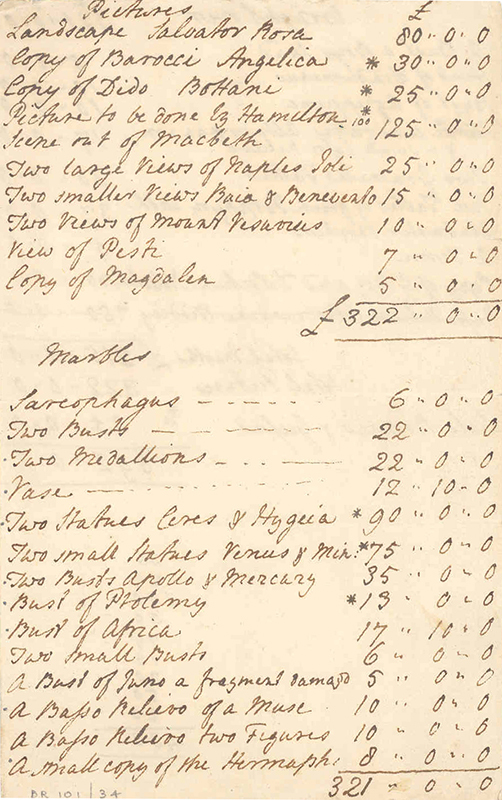 The letter is dated “Saturday night, 23 Dec 1797” so this was to be a last-minute shopping spree!! “With respect to the children’s presents, the things they would like the best I believe would be as viz. – Harry a small tool box, Fanny a small writing box, Willy the same, and Lilly a little gold necklace. If these are too expensive, then Harry a Spanish Don Quixote, Fanny the same, Willy the Preceptor [a book of instruction] and Lilly an atlas …. with a clasp. They know nothing of your intention but we were supposing that if we were to have the offer of presents, what we should all like. The list gives an insight into the characters of Mary and the children. (Was the “nutmeg grater” the fashionable gift of the day?!) And we all know how difficult it is to buy the perfect present – and keep it a secret at the same time! 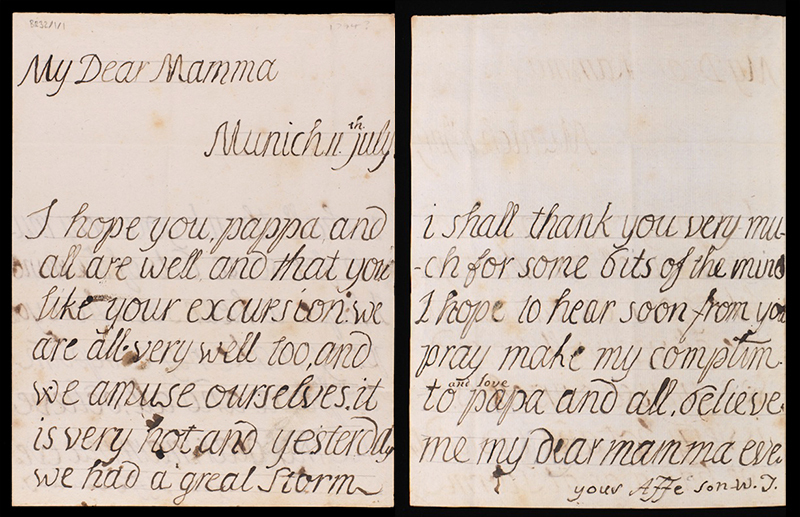 I wonder what he made of that letter from his sister – and how much trouble it had been to buy all the gifts?! We wish you a Merry Christmas and a very happy 2018. Saint Valentine’s Day, or The Feast of Saint Valentine, has been associated with romantic love since the fourteenth century and the time of Geoffrey Chaucer when the tradition of courtly love flourished. By eighteenth-century England, it had evolved into an occasion which resembled our modern-day celebration where people express their love by sending flowers, chocolate and greetings cards. To mark Valentine’s Day 2017, we’re going to delve again into the wonderful resource that is the Broadlands Archives. The object of his affections, Frances, was the daughter of Sir Francis Poole and his wife, also called Frances. Palmerston felt she had “all the qualities he could wish for in a wife” but did not want to press her for a decision “at this time”: one of Frances’s brothers, Henry, was very ill – and in fact died the following month – which was partly the cause of the delay in their marriage negotiations. Frances appears more cautious than Henry: “you deserve a woman beautiful & young, & with every quality of the mind that can make her amiable.” [BR16/9/3]. Frances did marry Henry, the second Viscount, on 6 October 1767 but sadly died, only two years later, in childbirth at his Lordship’s house in the Admiralty on 1 June 1769. A few days later, 12 November 1801, he comments that he has been going through his deceased wife’s papers. [BR20/18/9]. He passed away less than six months later on 16 April 1802 of “ossification of the throat”. Palmerston married the widow Emily Cowper, née Lamb in 1839, aged 55, although they had likely been having an affair from around 1808: not sure if this was exactly what his mother had in mind! 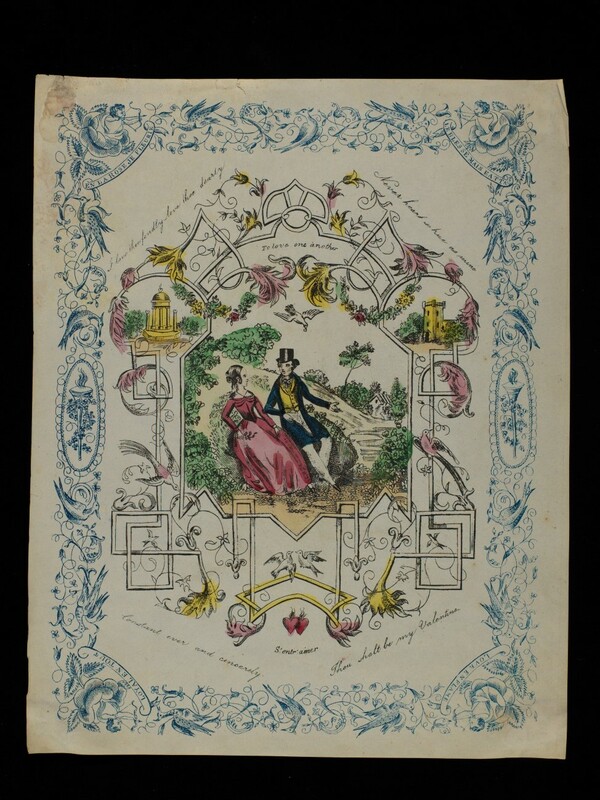 If you would like to read an excerpt from a poem Palmerston sent to Emily on their tenth wedding anniversary – as well as other love stories from the Broadlands Archives – take a look at last year’s Valentine’s Day blog post. If you are interested to know more about the development of Valentines – in the second week of February 1841, for example, an extra half million letters were delivered, one eighth of all the mail, because of the traffic in Valentines – you could take a look at this post from Chris Woolgar from 2015. Today would have been the 238th birthday of Francois-Marie Arouet. Better known by his nom de plume Voltaire, he was a French Enlightenment writer, historian and philosopher. He advocated freedom of religion, freedom of speech and separation of church and state. During his European tour, the young Henry Temple, second Viscount Palmerston, stayed with Voltaire at Ferney in September 1763. He had already travelled through much of Switzerland and was on his way to Italy. Palmerston served as an MP for many years but his first love was travel and culture and he collected antiques, paintings and sculptures, many of which now adorn what was his country estate, Broadlands, in Hampshire. 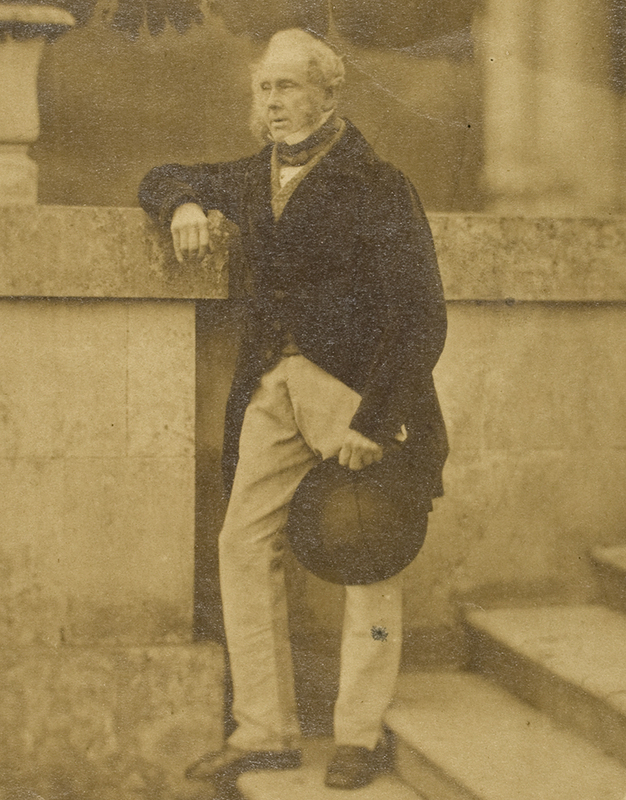 The Special Collections hold travel diaries and correspondence which provide a detailed account of Palmerston’s life. Some commentators have criticized Voltaire for his attitude towards Jewish people while others state he was hostile to all religions, and not specifically anti-Semitic. The Parkes Library on Jewish/non-Jewish relations contains a selection of texts concerning Voltaire and his views including Antoine Guénée’s Lettres de quelques Juifs Portugais, Allemands et Polonais à M. de Voltaire, avec up petit commentaire, extrait d’un plus grand, à l’usage de ceux qui lisent ses oeuvres, suivies des mémoires sur la ferilité de la Judée (Pairs 1828): letters from Jewish correspondents to Voltaire, with commentary. The Library holds 18th- and 19th-century editions of Voltaire’s works including The Dictionnaire philosophique (Philosophical Dictionary), an encyclopaedic dictionary first published by Voltaire in 1764; it was a lifelong project for Voltaire and continually edited and reprinted throughout his life. As the Bank Holiday weekend approaches, thoughts might well be turning to travel and holidays. Travel has been a part of the human experience for centuries and as a journey recommends itself to record keeping, the travel journal was one of the earliest types to become a recognised genre. In his 1625 essay Of travel Francis Bacon gave directions for diary keeping by young men on their Grand Tour— that educational rite of passage for males of British nobility and wealthy gentry. While Bacon’s thoughts were mainly on profit to be gained from travel experiences, the wish to create a permanent record of journeys is a very real one. The archive and rare book collections at Southampton attest to this wish. Within the archive collections are a large number of diaries and journals, together with photographs, sketches, charts and plans, menus and other souvenirs relating to travel in its various guises. This is complemented by a fine range of rare book material, including the Henry Robinson Hartley Collection, about exploration and journeys across the globe. For those seeking accounts of a more stylish and comfortable mode of transport, the Special Collections hold a range of material recording journeys by luxury liners. Menus are from the cabin (first class) dining room of the Queen Mary during her first year on the transatlantic crossing show just over 800 cabin class passengers enjoying seven course meals, with food supplies for a typical voyage including 50,000lbs of fresh meat, 50,000 eggs and 14,500 bottles of wine. Want to know about encounters with polar bears or hostile locals, or navigating unexplored regions of Latin America or Africa? Then look no further. The journals of the Southampton born sailor William Mogg recount exploration in the Arctic (polar bears included) and on board HMS Beagle in South American waters, while the papers of Louis Arthur Lucas (1851-1876) provide a glimpse into his explorations in Africa, 1875-6. From his base in Khatoum, Lucas set out to explore areas of the Congo as well as Lake Albert, then known as Albert Nyanza, one of the great lakes of Africa. Proving that adventure does not have to take you to far shores, the trial journey from London to Bath of Goldworthy Gurney’s steam carriage in July 1829 provided quite a tale. This marked the first journey at a maintained speed made by a locomotive on land or rail, pre-dating George Stephenson’s Rocket by over a year. Beset by various challenges, the intrepid travellers were finally met by a hostile mob outside Bath who stoned the carriage. So, however you choose to travel this Bank Holiday, we wish you happy travelling! In the western world it’s hard to miss that 14th February is Valentine’s Day. You might choose to mark the occasion – or perhaps you feel exasperated with the increasing commercialisation suggesting we must spend money on gifts to express our love. 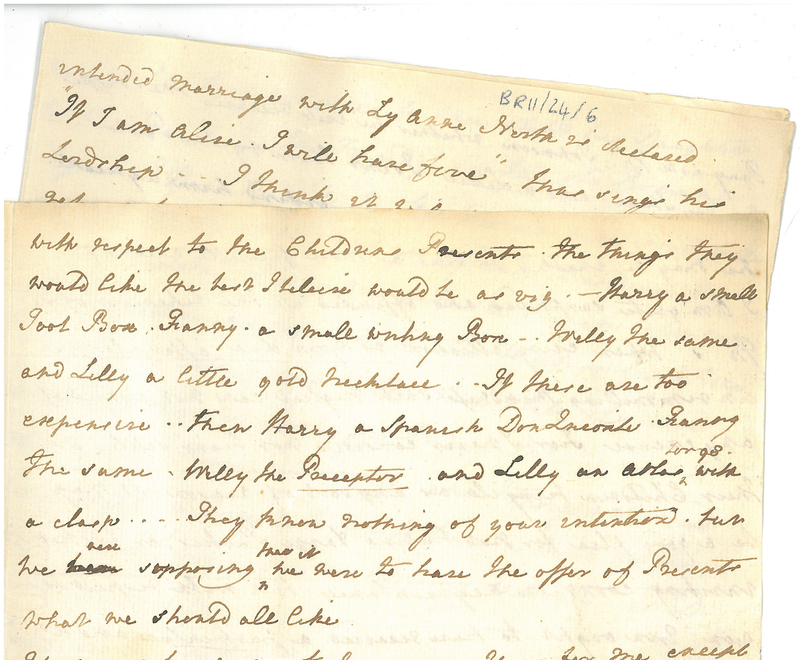 Whatever your perspective we hope you enjoy this delve into the Broadlands Archives to find some accounts of love and marriage from centuries past. 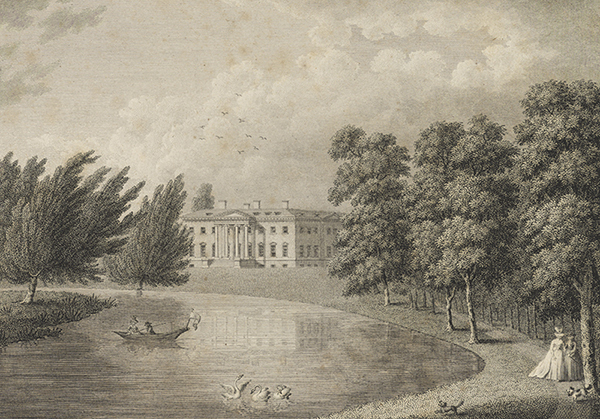 The Special Collections hold extensive family papers for the Temple family, Viscounts Palmerston, who once lived at the Broadlands estate near Romsey. They were married later that year but sadly Frances died in childbirth less than two years later. Henry and Mary’s eldest son was Henry John Temple, the future third Viscount Palmerston, Foreign Secretary and Prime Minister. Palmerston earned himself the nickname “cupid” because of his many romantic liaisons. This week archivist John Rooney discusses his recent cataloguing of the family papers of Sir William Temple as part of ongoing work on the Broadlands archives. Sir William Temple was the third child of Henry Temple, second Viscount Palmerston, and his second wife Mary Mee. Born on 19 January 1788, he was the younger brother of Henry John Temple, later third Viscount Palmerston. Alongside the two boys were three Temple sisters: Frances (the eldest), Elizabeth, and Mary. However, Mary, the youngest of the siblings, died when she was still a young child as a result of smallpox inoculation. 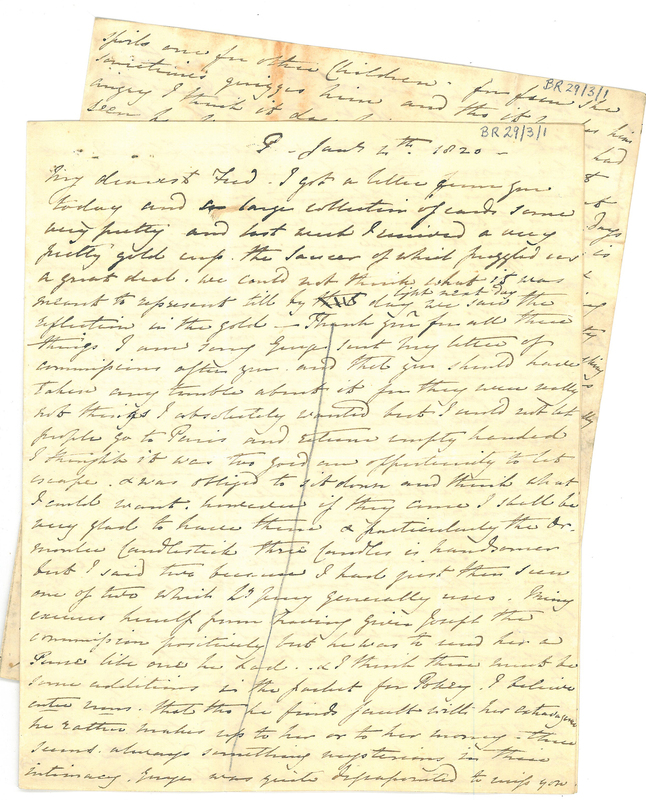 Section BR32 of the Broadlands archives contains letters from William Temple to his mother, his brother Henry, and his sisters Frances and Elizabeth between 1794 and 1811, covering his early life and education. It begins when William is six years old and initially consists of letters to his mother, primarily relating to family life at Broadlands. In 1798 William followed his brother Henry to Harrow School where he studied until 1803. 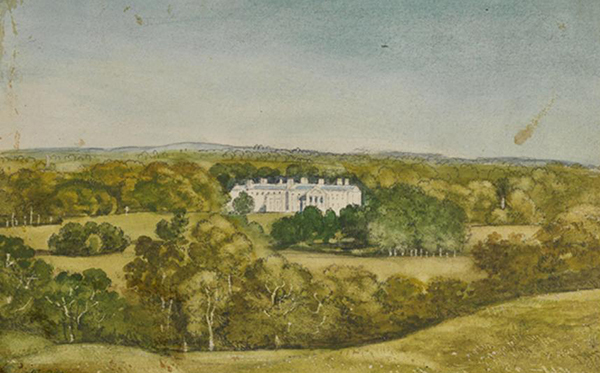 The correspondence from this period provides insights into his life at Harrow, as he discusses his studies and social engagements, together with details of Henry’s life at the University of Edinburgh, from 1800 to 1803, and subsequent tour of the Highlands. William and Henry were to maintain a close relationship throughout their lives with many of the letters in the collection containing references to (and reflections on) the future Prime Minister’s education and early political career. A small selection of correspondence covers the period 1833 to 1837 during which time William is serving as British ambassador in Naples (1832-56). The letters from this period are from his sisters Frances (now married to William Bowles) and Elizabeth (now married to Laurence Sullivan), and Emily Ashley Cooper, Countess of Shaftesbury, primarily concerning family life, recent events at Broadlands, and William’s life in Naples. The final two letters date from 1856, the year of William’s death, with one being from Dr. William Ferguson to Lord Palmerston concerning his attending William during his final illness. Sir William Temple died on 24 July 1856, leaving no issue. The accompanying section BR31 consists of two letters concerning the settlement of William’s estate, including a letter relating to a major collection of antiques bequeathed to the British Museum. By the time of his death both Frances and Elizabeth had passed away, leaving Henry, the eldest, the last surviving of the Temple children. This week Ruby Shaw discusses her exploration of the Broadlands archives as part of research undertaken for her MA in Historic Interiors and Decorative Arts at the University of Buckingham. “When contemplating the daunting question of deciding upon a topic for my dissertation, it was almost by chance that I came across the Broadlands archives at the University of Southampton! Although I knew that I wanted to base my research around a historic house within my local area (I am studying for an MA in Historic Interiors and Decorative Arts with the University of Buckingham but live in Southampton) I was surprised by how few local archives there are with collections relevant to art history students. Then I stumbled across the Broadlands archives and what a wealth of material it has to offer! The archives are probably better known for material relating to the career of Lord Palmerston, the 3rd Viscount, who became prime minister to Queen Victoria. Yet Lord Palmerston’s father, Henry Temple the 2nd Viscount, was an influential eighteenth-century figure, particularly as a patron of the arts. This interest in art and antiquities was ultimately reflected in the collections and interior decoration of his country house at Broadlands. Although I have often stolen a glimpse of Broadlands house through the gates, I was unaware until now of how much of its eighteenth-century interiors and furnishings survive. This includes paintings by Sir Joshua Reynolds with whom Lord Palmerston enjoyed a close friendship. Many famous names have also been associated with the construction of Broadlands. The first phase of Lord Palmerston’s building campaign in the 1760s, for example, was carried out by the famous landscape gardener Lancelot “Capability” Brown. A further phase in the 1780s was meanwhile executed by the architect Henry Holland, most famous for his construction of the splendid Carlton House in London for the future George IV. From an initial consultation of the archives, I could see that there was an extensive range of material to conduct a stimulating research project. This material has been drawn upon to explore the role of Henry Temple, the 2nd Viscount (1739-1802) as a collector and architectural patron at Broadlands. Numerous visits to the archives have given me the pleasure of delving into Lord Palmerston’s Grand Tour travel journals, as well as art sale catalogues, architectural drawings and correspondence with various dealers. Viewing an original letter by “Capability” Brown was a particular treat! 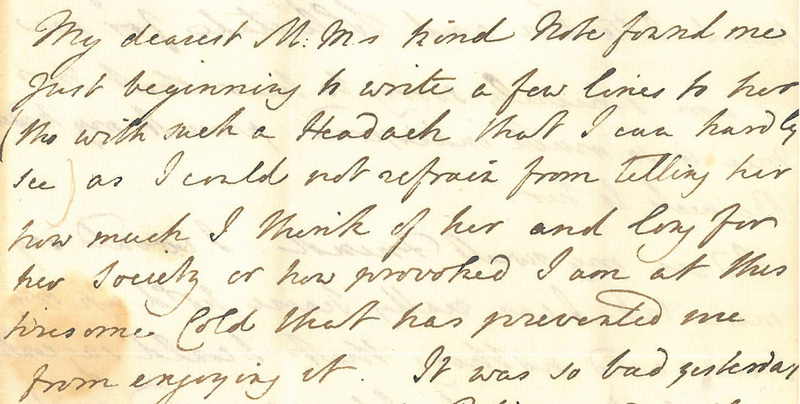 Some of the correspondence between Lord and Lady Palmerston also makes for amusing reading. The unfavourable temperament of the plasterer at Broadlands, Joseph Rose, for example is highlighted by the repeated reference to him as “Mr Melancholy.” Humorous appeal aside, these personal insights have been extremely valuable in helping to gain a deeper understanding of the relationship between architects, craftsmen and clients during this period. In June of 1808 two Spanish delegates arrived in London. They were there to appeal for support following uprisings against the French which had taken place across Spain. Their arrival was met with great excitement throughout Britain, with the government coming under pressure to seize the opportunity. On 14 June, Arthur Wellesley was formally appointed to command an expedition to support the Spanish in fighting against French forces in the Iberian Peninsula. In the passage below, as Wellesley waits to set sail from Cork, a sense of urgency can be felt. The expedition at last got out with a fair wind on 12 July, arriving in Coruña on 20 July. “The wind is still contrary, but we hope it will change so as to sail this evening. We are unmoored, and will not wait one moment after the wind will be fair. The Battle of Britain, the struggle between the German Luftwaffe and the British Royal Air force, raged over Britain between July and October 1940. It was the first major military campaign to be fought entirely in the air. It was part of a German plan to win air superiority over Southern Britain and the English Channel by destroying the British air force and aircraft industry as a prelude to the invasion of Britain. The siege of Condé lasted from three months and was part of an Allied campaign on the borders of France in the spring and summer of 1793. By April French republican controlled Condé was under blockade from the Prussians under General Knobelsdorf, by a force of 12,000 men commanded by Clairfayt to the south, and to the north by the Prince of Würtemberg. A small British contingent, under the Duke of York, was also in the area. Condé held out until 10 July, before surrendering after a severe bombardment. remained in Austrian hands until 30 August 1794. As a result of heavy casualties for the Royal Flying Corps at the Battle of Arras, drastic change was needed in the British anti-artillery and aircraft. This was done through the use of barrage balloons and the development of aeroplanes. Barrage balloons were large balloons fastened with metal cables used to obstruct aircraft attack by damaging the aircraft on collision with the cables. Some carried explosive charges that would be used against the aircraft to ensure its demolition. The development of strong aircraft included the creation of the South Experimental 5, the Sopwith Camel and the Sopwith Pup. The South Experimental 5 could be dived at high speeds, and its squarer wings improved lateral control at low airspeeds. The Sopwith Camel was a single-seat biplane fighter which had a short-coupled fuselage, a heavy powerful rotary engine, and concentrated fire from twin synchronised machine guns. The Sopwith Pup was also a single-seat biplane fighter, which had excellent flying characteristics and good manoeuvrability. This was due to its low wing loading. Its light weight and substantial wing area gave it a good speed of climb, and its nimbleness was enhanced by installing ailerons on both wings. Known as Operation Georgette, General Ludendorff ‘s aim was to capture Ypres and to force the British troops to retreat back to the channel ports and out of the war. On 18th April the German forces (the Sixth Army) attacked south through Bethune but were repulsed. On 29th April the German high command cancelled the offensive as a result of suffering a substantial amount of casualties. Perceptions and attitudes, particularly amongst the young, changed during the Second World War due to social factors, such as the new roles given to women, who served in the armed forces or worked in factories or the land army as part of the war effort, and the influx of refugees. Samuel Rich touches upon this in his journal, noting a change which would really take hold in the 1950s when the concept of ‘teenagers’ was introduced and the lives of these teenagers began to change. The Battle of Vimeiro, on 21 August 1808, put an end to the first French invasion of Portugal. However, the terms of the subsequent Convention of Cintra, signed by General Dalrymple on 31 August, allowed the defeated French army to return to France together with its guns, equipment, and loot taken from Portugal. While Wellesley opposed the Convention he was subsequently recalled from Portugal, together with Burrard and Dalrymple, to face an official inquiry. By November 1808, the French armies had been greatly reinforced. Spanish forces were defeated in a series of battles and the city of Madrid soon fell back into enemy hands. Following the battle of Coruna, on 16 January 1809, French forces, under Marshal Soult, began another invasion of the northern provinces of Portugal. 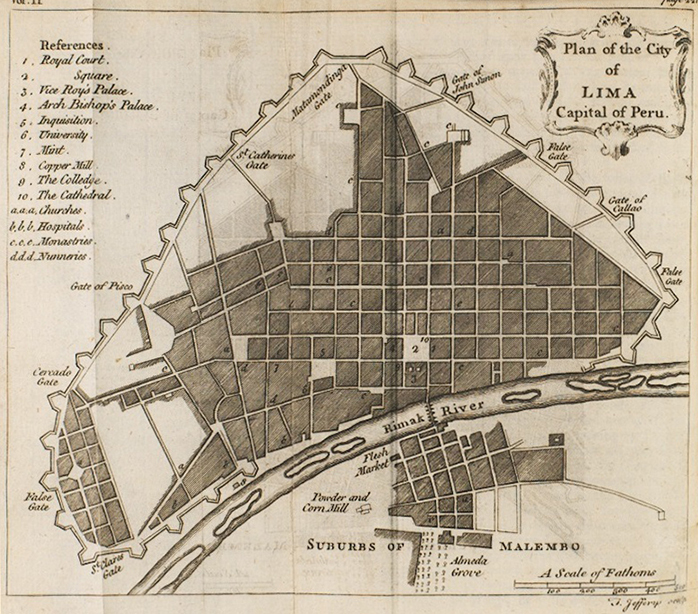 In response to the French taking possession of the city of Porto, on 29 March 1809, British reinforcements were directed to embark for Lisbon with Lieutenant General Sir Arthur Wellesley once again sent to command. After his arrival on 22 April 1809, Wellesley wrote to Marshal Beresford calling him to Lisbon to consider arrangements for the defence of Portugal. “I arrived here yesterday, having had a passage of one week from Portsmouth. 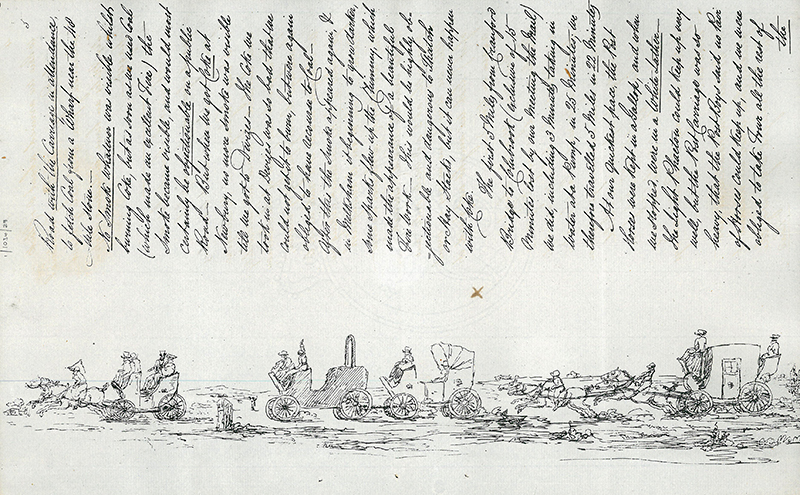 The fleet having on board my horses, the two regiments of heavy dragoons, and some horses for the artillery, sailed, I believe, on the day after I did, and may be expected in a day or two. The 24th foot may likewise be expected from Jersey, and likewise a brigade of light infantry from England, and a regiment of Hussars. Lord Cornwallis and the British East India Company forces made considerable advances against Tipu Sultan that year. As this letter recounts, despite tough resistance, the fort of Bangalore finally had been breached on 21 March. The siege of Darwar, then on the frontier between the Kingdom of Mysore and the Mahratta empire, lasted 29 weeks and came to an end in April.